After participating in the group exhibition “wewantosee” in the 21st Century Museum of Contemporary Art in Kanazawa, Japan, in September 2016, Colin Waeghe returned to Kanazawa for a two months residence in the winter of 2017. There he worked further the hermit topic from the series “A hermit’s dream”. By living alone in an old Japanese house for 2 months, he became the subject of his own story. Waeghe decided to use his daily environment by isolating banal elements of the house and then abstracting them. All this resulted in ‘Postcards from Teramachi 2-3-4’, a series of ink drawings on Japanese paper. Teramachi 2-3-4 refers to the temple district, the address where he lived and worked during his stay in Kanazawa. 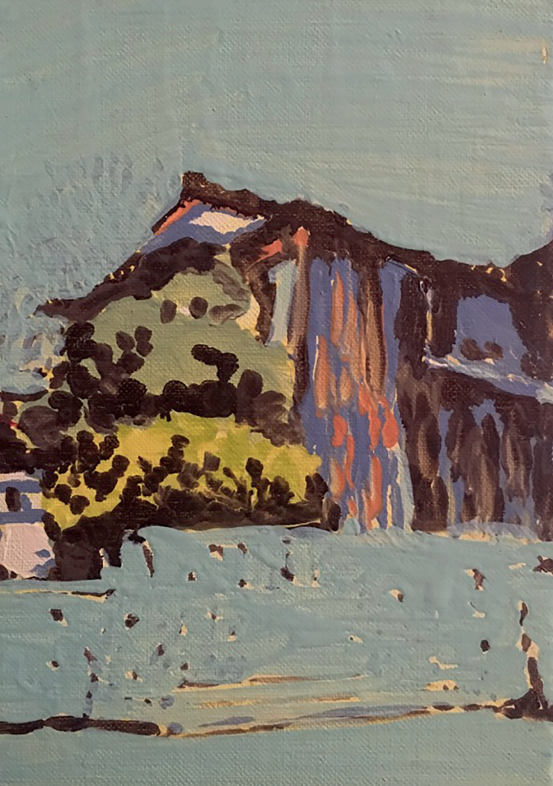 During his solo exhibition in Light Cube, Colin Waeghe will also show his new small and big scale oil paintings which form the further development on his Japanese theme. Colin Waeghe (°1980) lives and works in Brussels and in Leipzig (DE). He studied at Saint Lucas College (experimental workshop) in Brussels, at PoPok (stage design) in the Singel in Antwerp, and finally at the HISK (Institute of Fine Art) in Ghent. Colin Waeghe started his active career in painting in 2009 and gradually developed his own pointillist style that seeks the boundary between figuration and abstraction.